You are looking at the cover of a number one record. Miss Jeanne took the title song of her sophmore album, Satin Sheets, to number one on the US country charts and number 28 on the pop charts back in 1973. It’s not a bad song. The harmonies are nice, and its better than any of the dreck marketed as country today. But come on. I can’t defend that album cover. Not even the good people at Proctor & Gamble, makers of Pepto-Bismol, can defend that album cover. 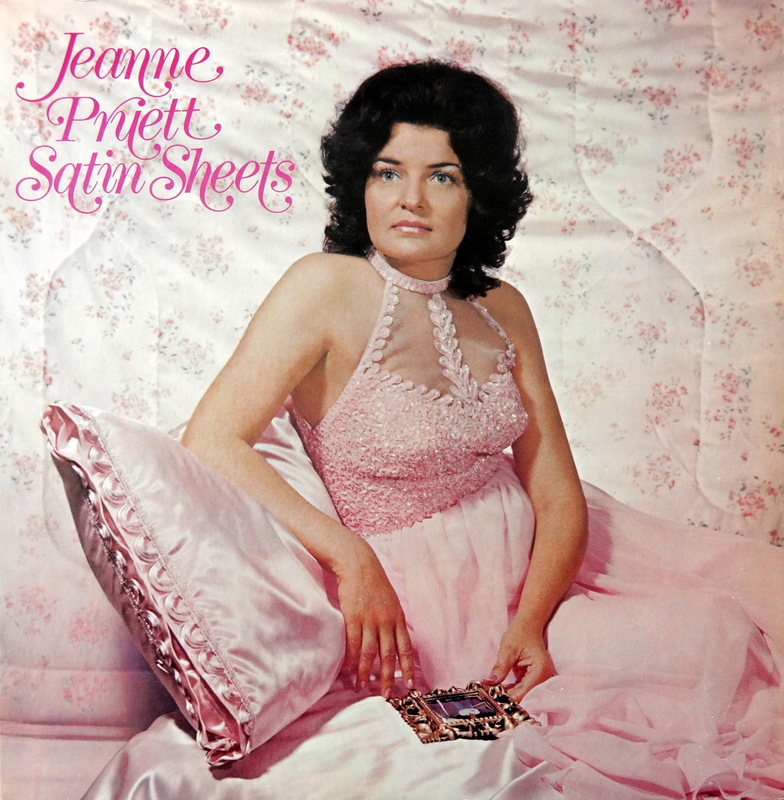 Please welcome Jeanne Pruett’s Satin Sheets to the Bad Album Cover Hall of Fame. Second both of those motions. Good song, bad, bad album cover. That host’s shirt and album cover should both have to be defended. She’s got one hell of a voice.